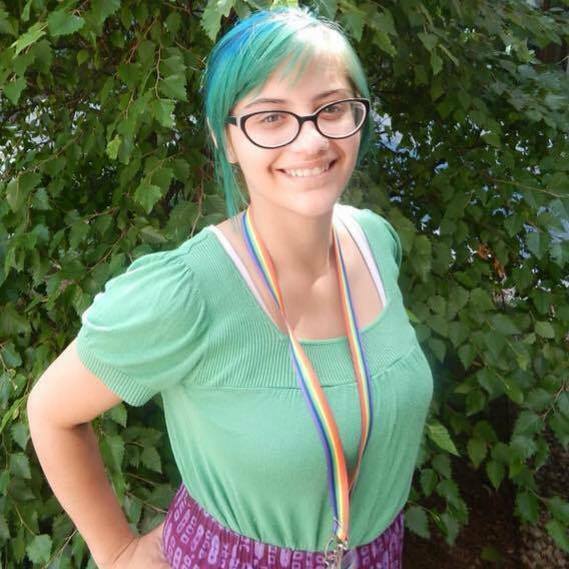 You have the right to be out as lesbian, gay, bisexual, transgender, or a straight ally. You have the right to form a Gay-Straight Alliance. And you have the right to go to school and not be harassed, bullied, or discriminated against because of who you are. While we here at GSAFE aren’t lawyers, we have taken it upon ourselves to learn the ins and outs of the laws that protect LGBT-identified students and their allies in our schools. This page has a few primers to get you started. 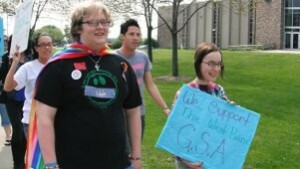 This resource sheet gives short descriptions of four federal laws that protect the rights of LGBT youth and GSAs in public schools: The First Amendment to the U.S. Constitution, the Equal Protection Clause of the 14th Amendment, Title IX of the Education Amendments Act of 1972, and the Equal Access Act. Click here to read or download this resource. Did you know that Wisconsin was one of the first states to specifically list sexual orientation in its pupil nondiscrimination policy? This resource breaks down state statute 118.13 into bite-sized, easy-to-swallow pieces and answers the question, “What does discrimination mean, exactly?” Click here to read or download this resource. Students have the right to be free from discrimination in school. This public service announcement reminds students, by way of song, to let everyone in their school know about statute 118.13, Wisconsin’s Pupil Nondiscrimination Law. The song was written by 2008 GSAFE Scholarship Recipient and Madison West High School graduate Miles Walser as part of a year-long campaign aimed at educating Wisconsin schools about the state pupil nondiscrimination law. The PSA was produced by MMSD TV and includes art from fellow West graduate Hannah Johnson. So what do you do if you’re being harassed at school? It’s important to keep a record of incidents of harassment, and your school may have a form similar to this resource that you can use to file a report. If they don’t have something like this, it’s okay to keep record of what happened on a piece of notebook paper or in a journal. Just make sure you list as many details as possible: what happened, where it happened, when it happened, and who was present. Click here to download the sample harassment incident report form. Most incidents of harassment can be handled very quickly and effectively by a teacher, administrator, or other school professional. But what happens if your school isn’t acting on your complaints, or if things aren’t being handled to your satisfaction? You have the right to file a formal complaint, and this resource shows the steps you can take to do that. Click here to download the harassment report flow chart. One of the most common events that Gay-Straight Alliances and similar clubs will organize in their schools is the Day of Silence. This document will answer some of the most commonly asked questions about Day of Silence, including basic information about students’ rights to organize and participate in this event. In 2010, the Department of Public Instruction created a model anti-bullying policy for schools in Wisconsin to adopt or adapt. Many schools chose to adopt this policy word-for-word, and some have chosen to create their own policies. Read more about this model policy here.